Do you know what impact your style of leadership has on those whom you lead, and other key stakeholders? Do you know how those you work closely with perceive your competence as a leader? Feedback is a gift. It provides a great opportunity for leaders to enhance their self-awareness, identify strengths they may not recognise or accept in themslves, and also identify potential 'blind spots.' Done well, 360° feedback challenges individual's perceptions of their skills and performance, and provides the motivation to change. 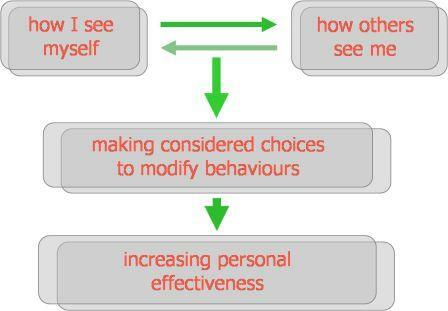 It can help individuals to understand how their behaviours are perceived by others, and confirm the behaviours that are most likely to achieve success. Research has shown that leaders who have a realistic self-perception have been found to have people with significantly higher levels of performance, motivation and job satisfaction. Organisations with such leaders have been found to be much more successful. And used in a leadership team context, 360° feedback provides a valuable framework for enhancing team awareness, and often highlights common themes that can be built on. We use a range of well-researched 360° feedback tools to profile leadership and emotinal intelligence competencies, including the widely-acclaimed Transformational Leadership Questionnaire™ (TLQ 360). To find out more about about how our 360° feedback solutions can add value and benefit to individual, team, and organisational learning and development, please contact either David Holmes on 07766 572566, or John Baker on 07870 167890.